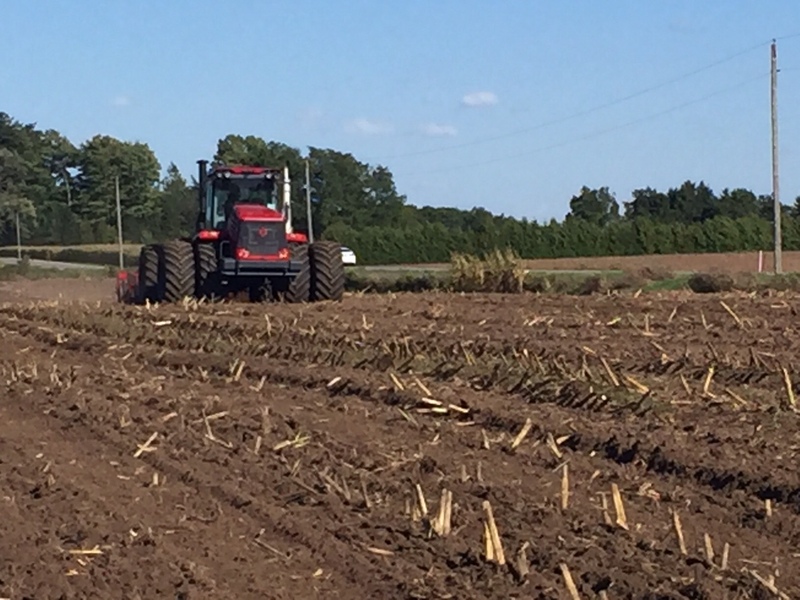 News | MTZ Equipment Ltd.
in the next trip or arrange for an individual tour. 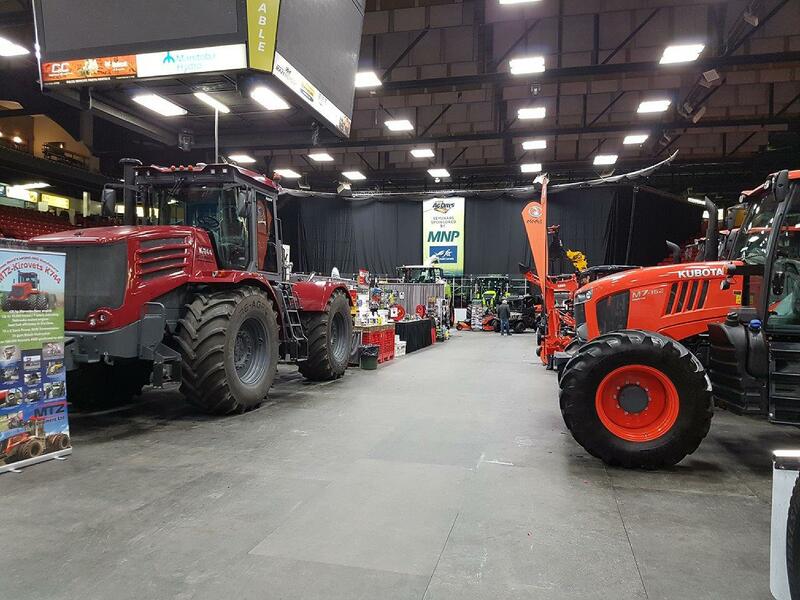 We just returned from www.agdays.com – Canada’s largest indoor show. 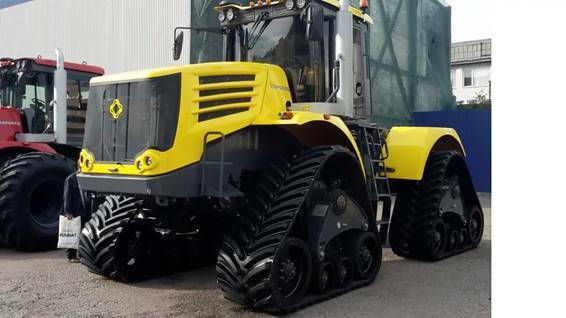 Very strong interest in the 435 hp K744 tractor, we had one of the busiest stands in the exhibition. an interest for their readers, and this year they selected to do a video interview with us. K744 model and some of it’s features. 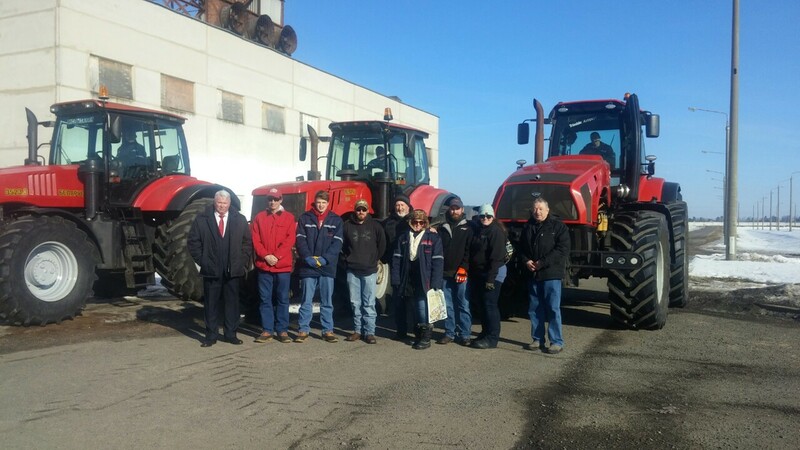 USA/Canada dealers visit to Minsk Factory Works took place March 12-16th, 2018. Among others we visited factory assembly lines, static exhibit, factory testing grounds, production facility. Main focus was on the 300+ hp Electric drive model. so he asked for the yellow custom color. More demos will be done in the fall, we’ll keep you posted. 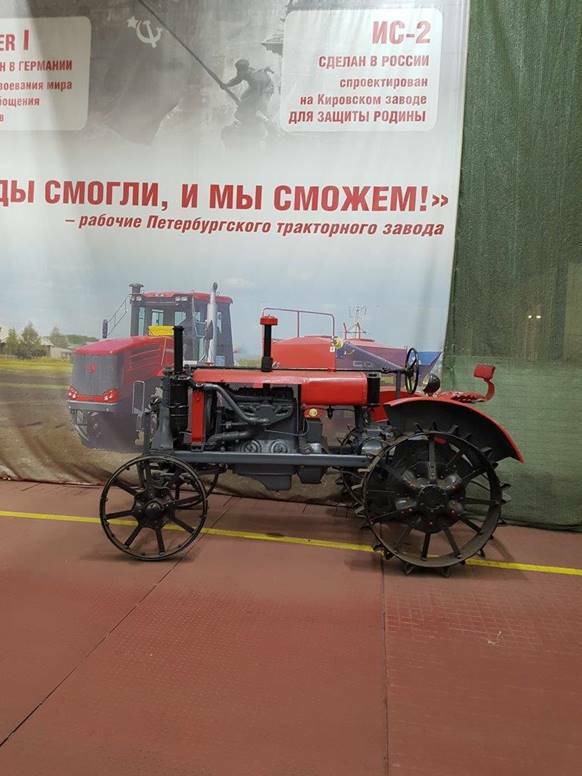 Today Minsk Tractor Works celebrated 71st birthday. 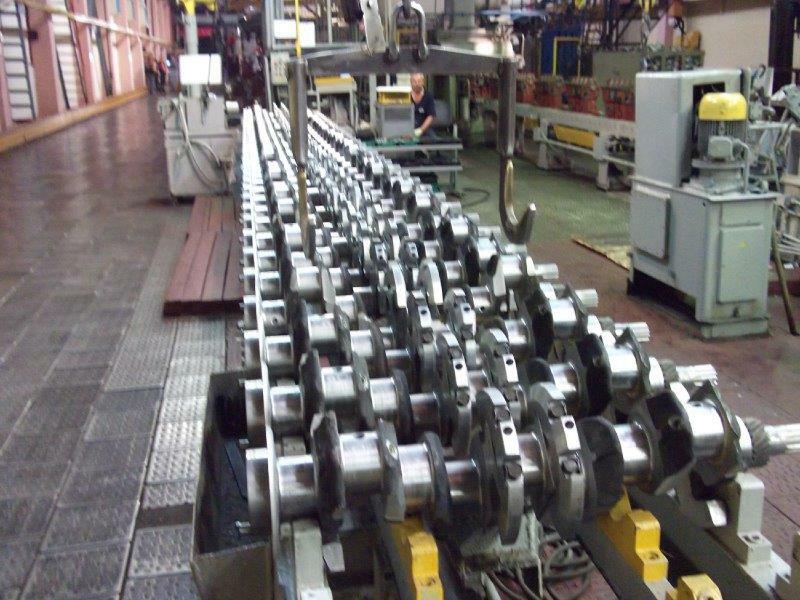 Factory was established in 1946, immediately following the end of WW II. music and Belarus folk songs. 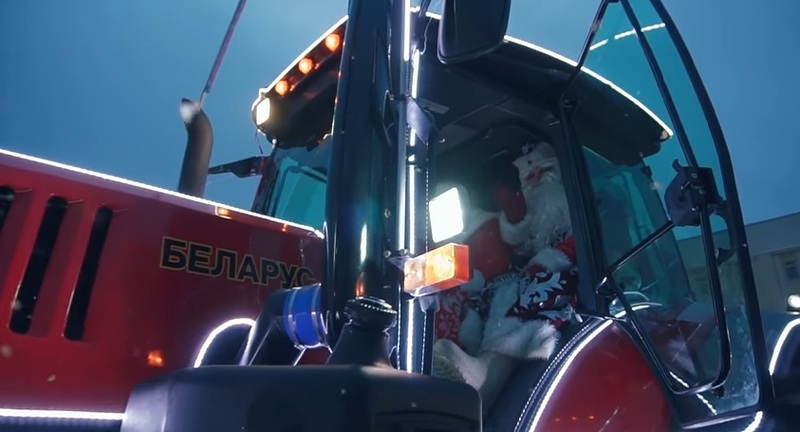 The 7 tractor drivers prepared for several weeks, rehearsing every move and turn. in ruins.Therefore, Belarus is cherishing the memories of the war. to a large orchestra display in front of the factory. This year 7 orchestras participated. Wadena , SK. The week of Feb 13th – 17th. 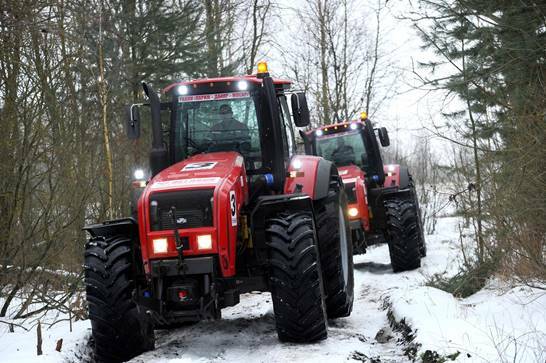 Reaching production of 2,000 K744 tractors in 2016. 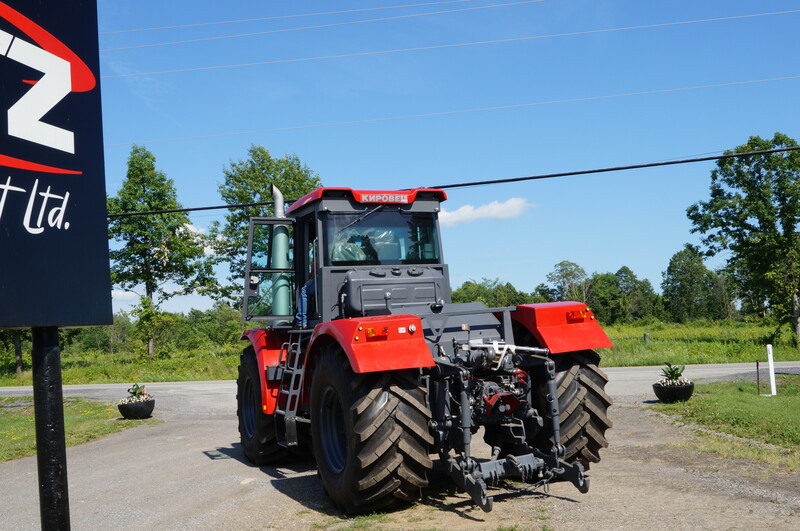 See attached photos from this week demonstrations of the MTZ-Kirovets K744. 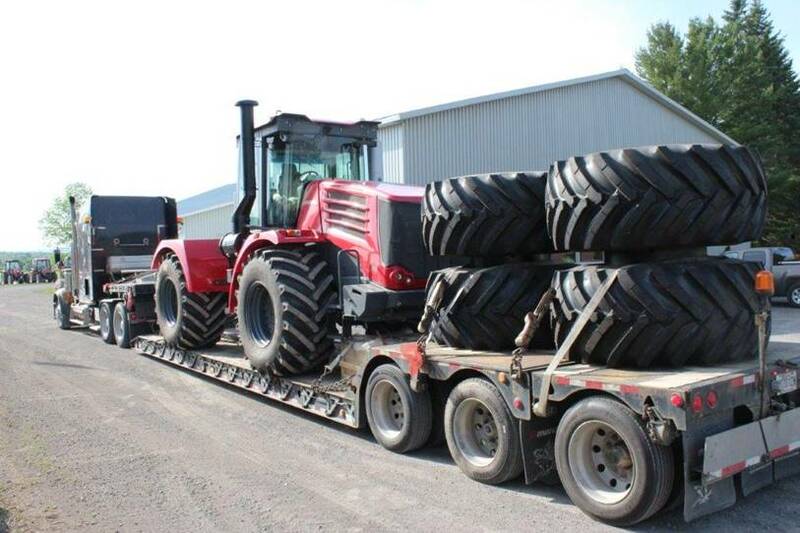 (no need to buy a separate tractor for the quad tracks). Quad tracks can be installed on the farm with basic tools, takes about 2 hours. 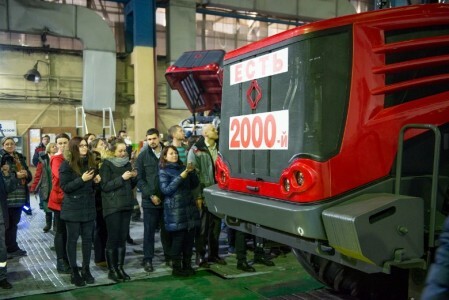 What is the life expectancy of MTZ / Belarus tractors ? We received the bellow email from a farmer near Woodstock, ON (Canada). 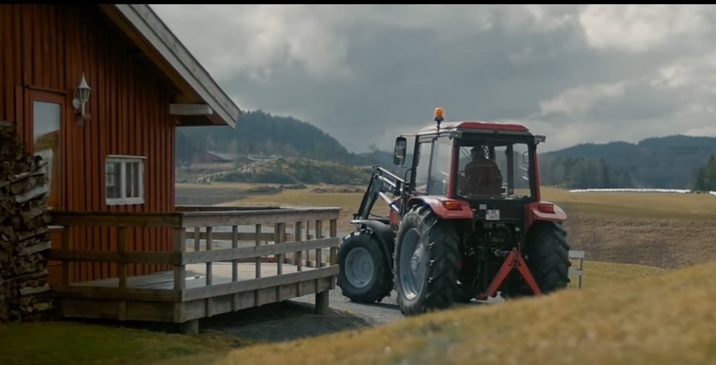 MTZ tractors are sold in over 130 (!) countries worldwide. 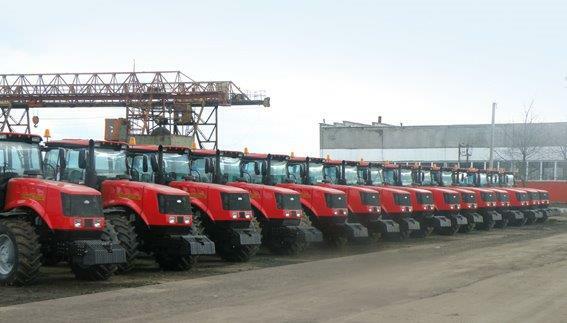 Every 9th tractor in the world is Belarus made. 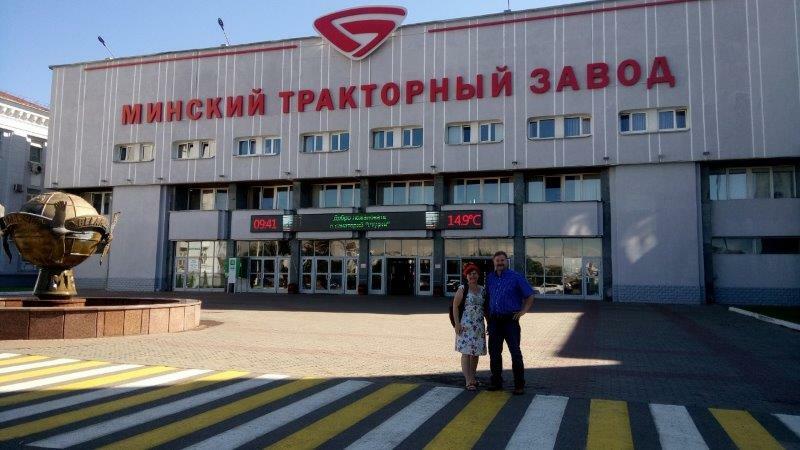 This week a dealer from Saskatchewan, Canada visited the factory. One of the dealer just sent this to us. TSC stores is a chain of country hardware stores, operating about 50 outlets in Canada. 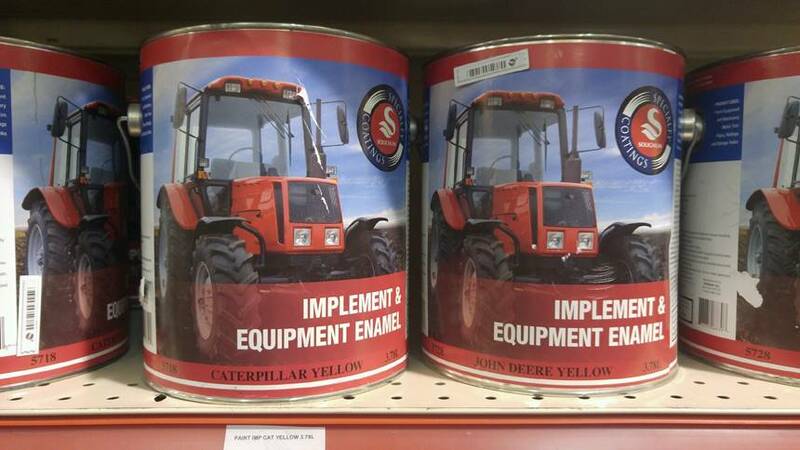 They sell implement paint for John Deer, Case, Ford and other major manufacturers. 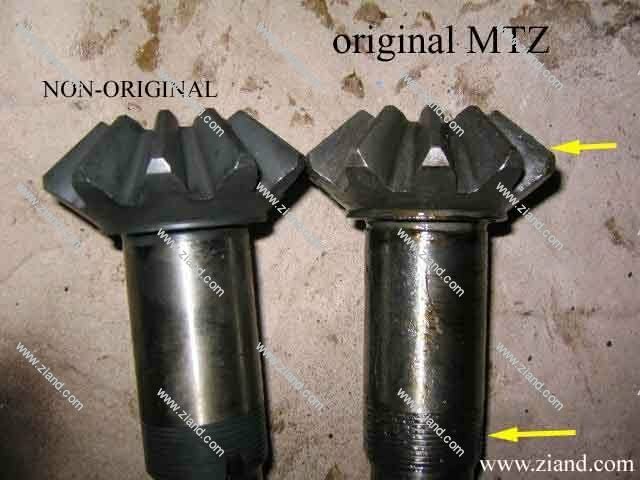 Bellow: MTZ 952. Looks similar ? 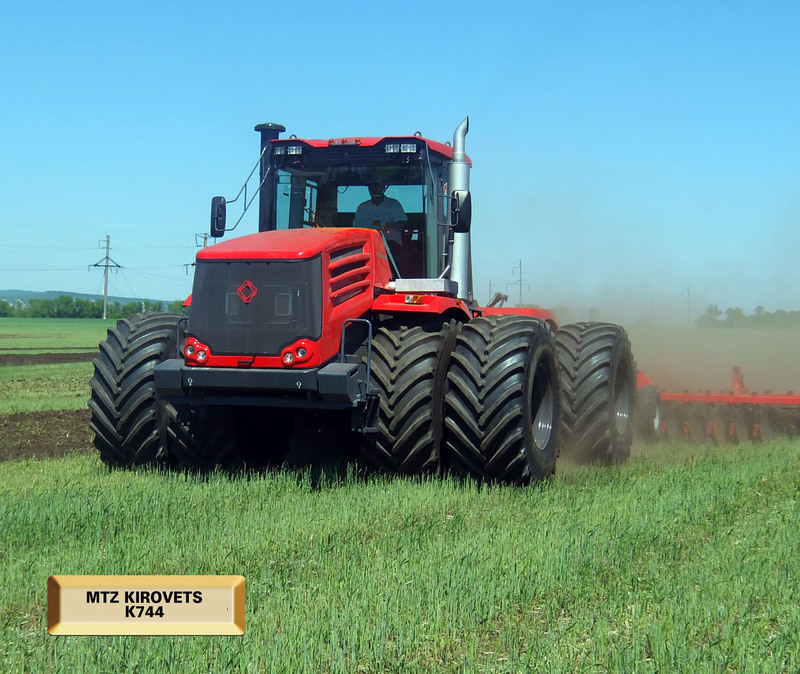 The all new Legendary MTZ K744 Kirovets is back in USA and Canada. Right now available with 428 hp Mercedes Benz Engine, Tier 3 – No DEF, No DPF, 16x8 Partial Power Shift transmission. You can see it July 12th - is a demo day in Hawkesbury, ON or July 19-21st at AgInMotion show in Saskatoon, SK, Canada. 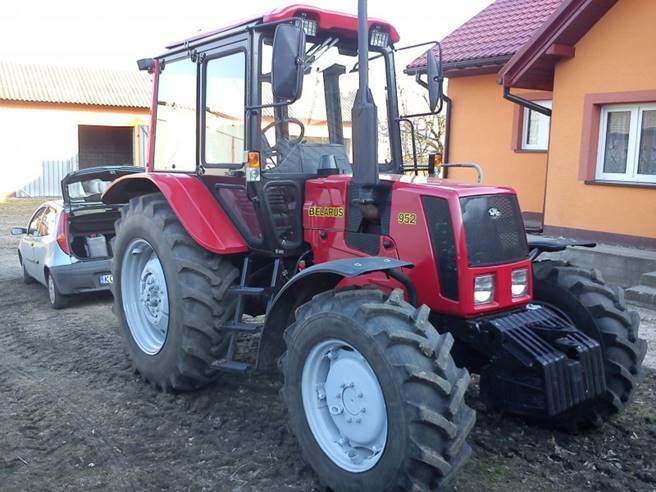 MTZ - Belarus made tractors - MTZ 1220 interesting discussion on a mjor AG forum. When a manufacturer is trying to promote their product, customers tend to treat it with some skepticism. Farmers would much rather listen to the opinion of their neighbors and actual users of the product. 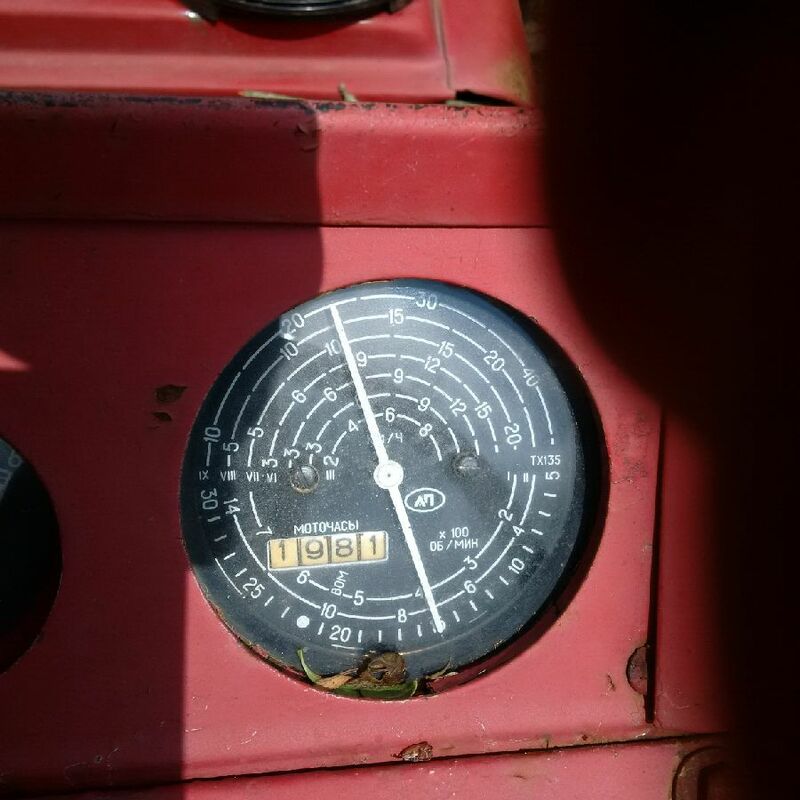 That’s why I thought I should share some posts from actual farmer in NY state, who acquired 2 x MTZ 1220. I think it’s an interesting read. 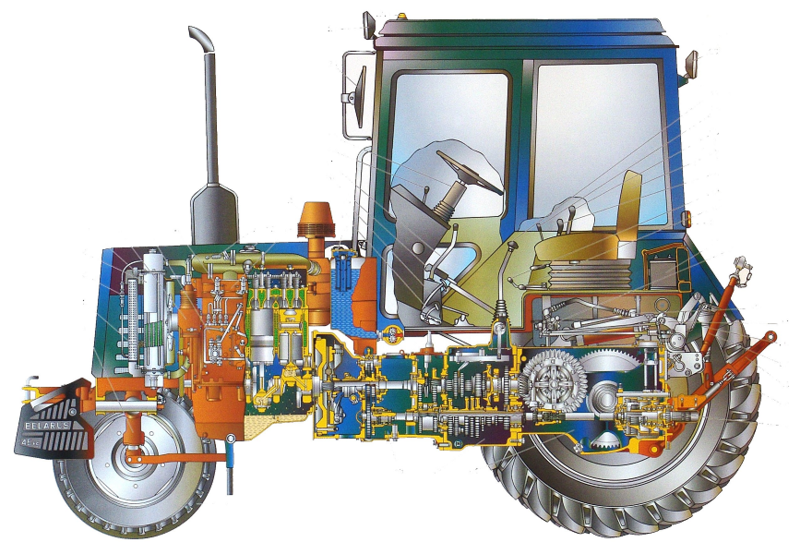 We know that Belarus made tractors are tough as nails, and working at many fields. But as an ice breaker ? That’s a first one for me. 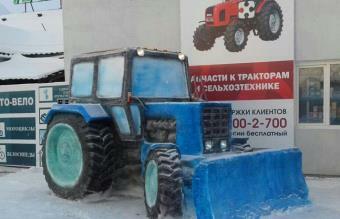 Remote Russian village was disconnected from mainland few days ago, and someone needed to clear the road. The good quality of the clip is enhanced through great cinematographic shooting angles. Click the link bellow to watch. 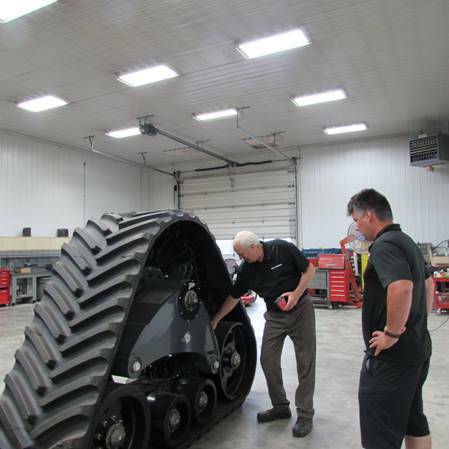 Couple of weeks ago Belarus based Minsk Tractor Works General Manager has visited us in Canada. 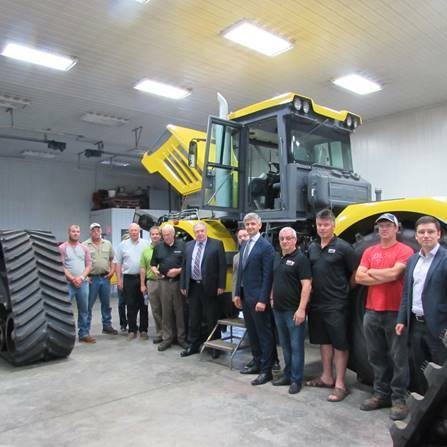 During that time we met with Boyle Tractor Ltd who is a dealer near Niagara Falls. Just in time for our visit he finished rebuilding a 1984 Belarus 820. Factory GM was present at the ceremony of passing the keys to the new happy owner. A local paper published an interesting article on the subject. 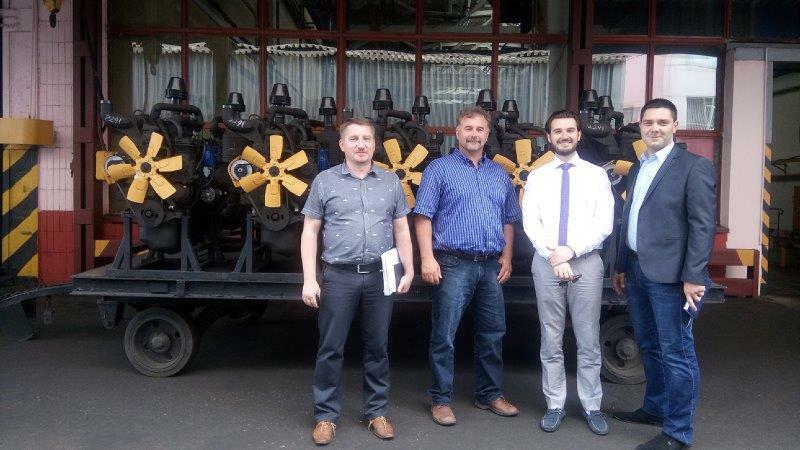 Belarus based Minsk Tractor Works General Manager has visited us in Canada this week. Great meetings. 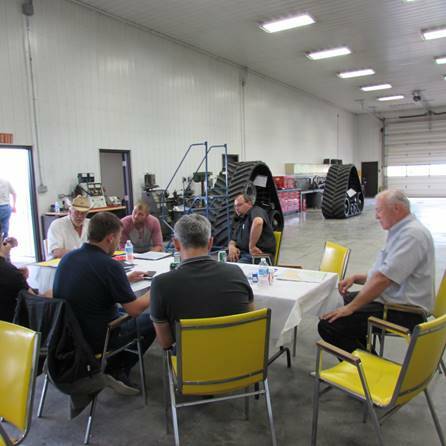 The GM had a chance to meet with a few dealers, and visit our warehouse and service shop in Ontario. Visiting MTZ service center in Hawkesbury. 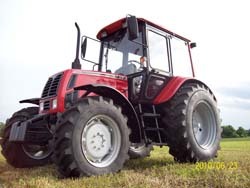 Boyle Tractor Ltd is a dealer near Niagara Falls. In time for our visit he finished rebuilding a 1984 Belarus 820. 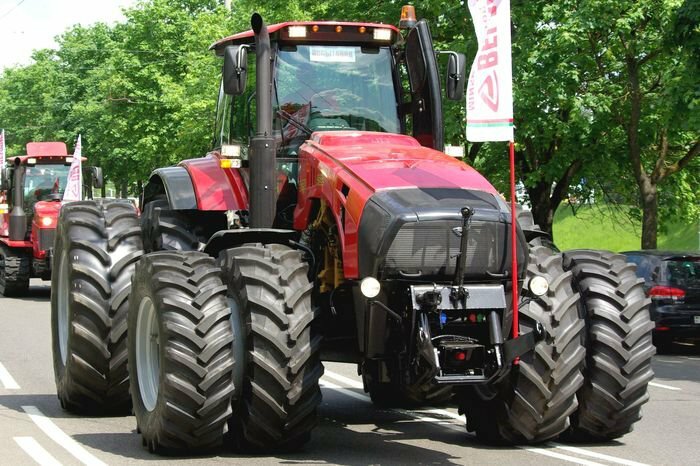 Minsk Tractor Works is proud to support with factory original parts all the equipment imported to USA and Canada since 1970s. 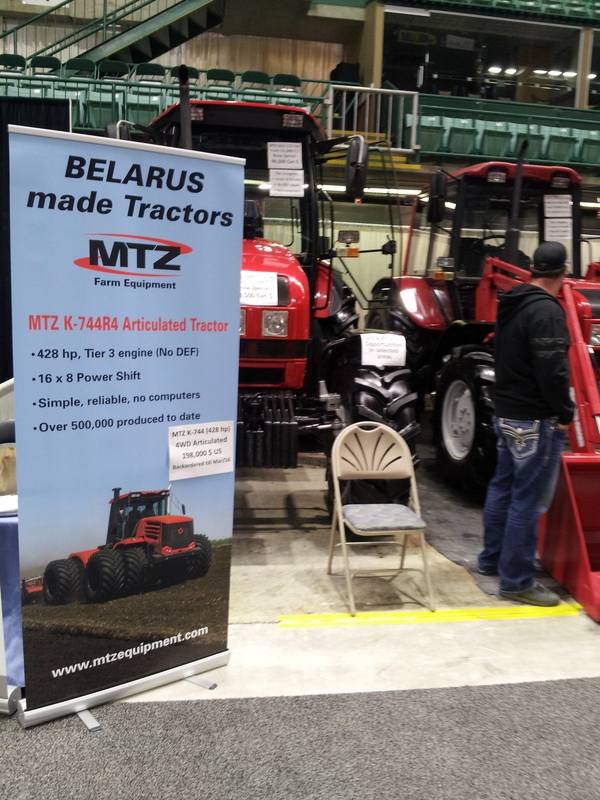 Belarus based MTZ Equipment – world’s largest tractor exporter is back. 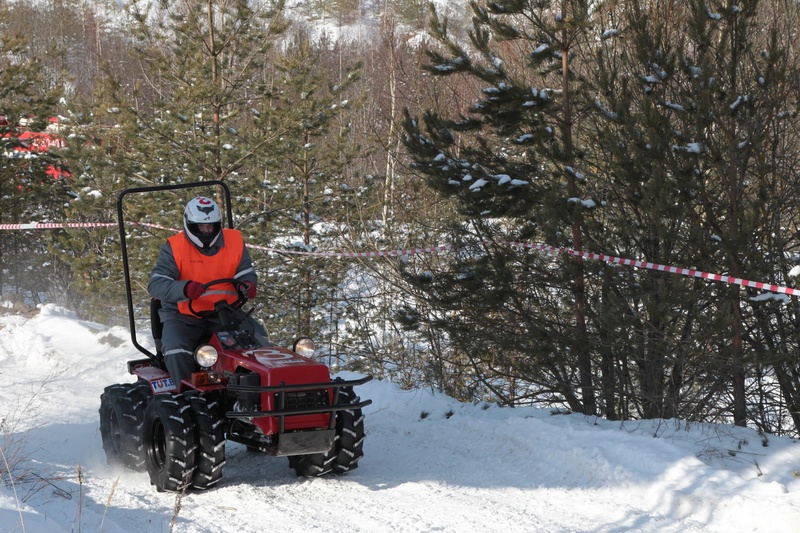 At these shows we will be presenting the following models: MTZ 952 (105 hp); MTZ 1220 (122 hp) and MTZ 1523 (155/175 hp). May 2016 be filled with Health, Happiness & Prosperity!! 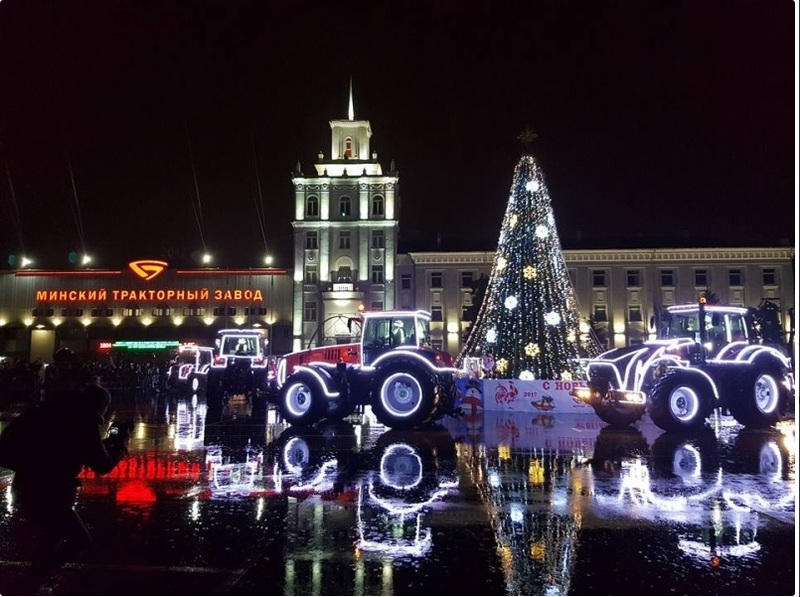 See below pictures of 2016 New Year Celebration at the factory in Belarus. The show was extremely busy for us. We were 2-3 people at the stand, busy non-stop. Run out of cards and pamphlets for some models. 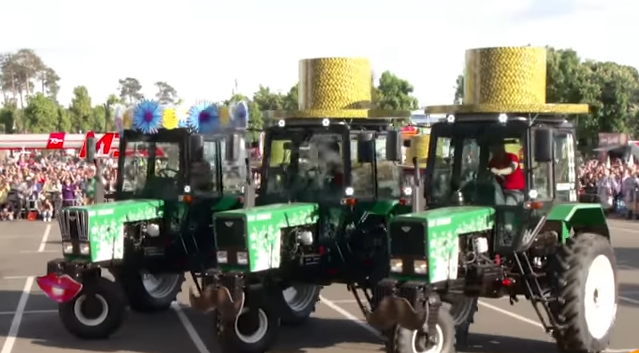 Apparently, there is a big interest in simple, affordable, reliable tractors, without DEF liquid, or too much complicated computers/electronics. 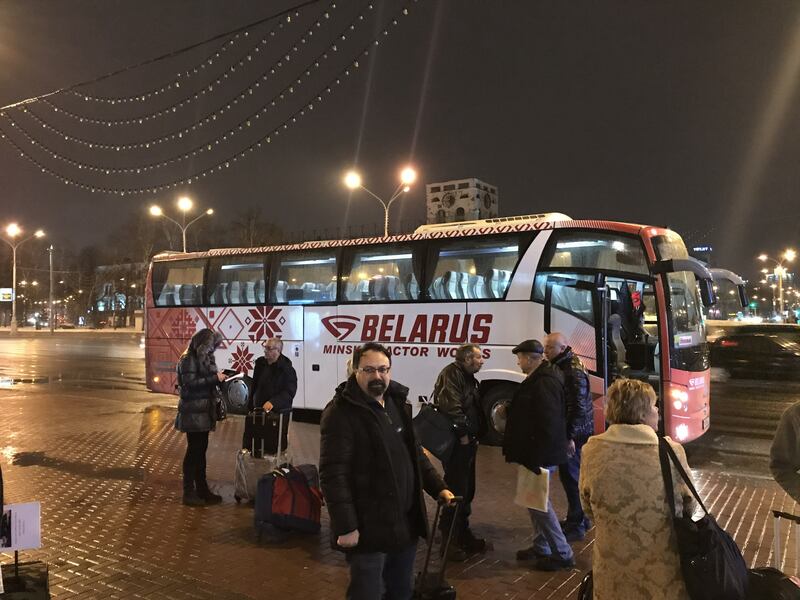 How is the situation in Ukraine / Russia is affecting MTZ ? Are there any sanctions etc. ? 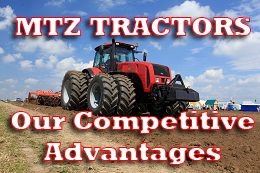 We realize that it would be a huge time investment for you to do a comprehensive tractors review, in order to compare features/specs/price of what is out there. Therefore, to help you out, we provide the attached market study. It is not scientific, because of the huge variety of available options, features, price programs, promotions etc. Yet, we hope it will be a useful reference tool. 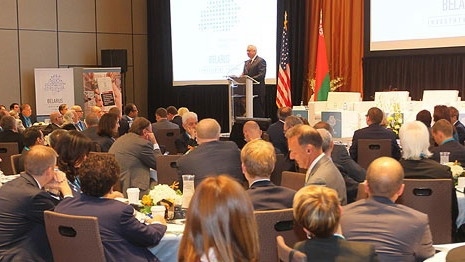 The first “Belarus - USA investment forum” was held at Grand Hyatt New York on September 22, 2014, where representatives of MTZ Equipment Ltd. were invited to participate by the Belarus Embassy in Washington. Extended warranty is now available! Extended warranty is now available, up to 5 years / 5,000 hours. 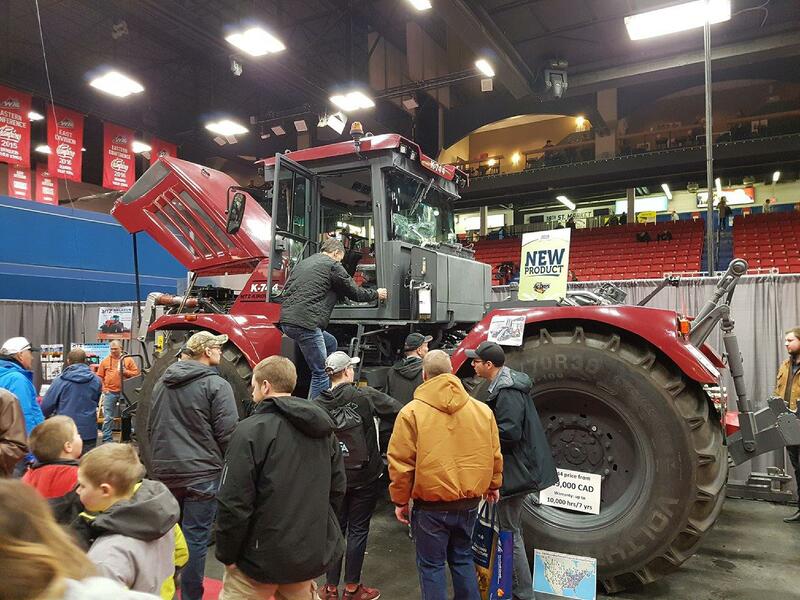 Our dealer in Salina, KS, presented at one of the largest Spring Farm Shows in the Midwest. New dealers in USA and Canada! Official letter from the factory in Belarus regarding product distribution in USA / Canada. 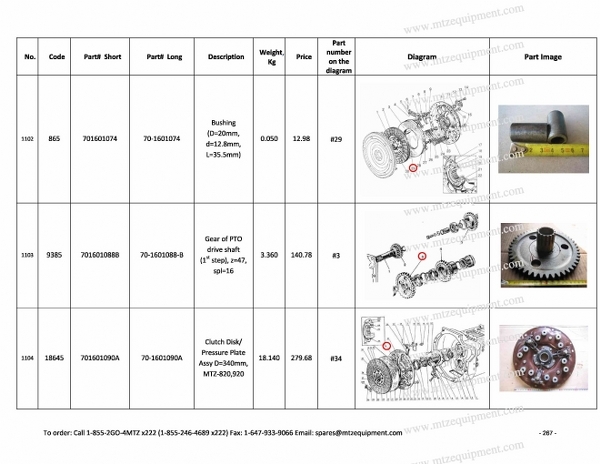 For the benefits of dealers and users, we produced a 500 page illustrated parts “Encyclopedia”. Click the title for more details.